Unfortunately those who live with dementia and Alzheimer’s disease develop gradual changes over years and rarely acknowledge they have a problem. Since the changes are so gradual it’s unlikely anyone would notice until they become bothersome to others. Yet when one becomes aware the disease process has progressed to an irreversible stage…usually! Keep in mind the brain in complex and much is not known about the brain. Many with progressive cognitive diseases do not use compensatory methods. Why would they compensate when they lack self-awareness? Note taking for everything is extremely difficult to learn later in life. Adjusting and adapting is especially tough as one ages. Is it because people are more set in their ways? Is it related to the disease? Is it that families are tight on time and don’t or can’t teach as we do young children? Often all one needs is time. Busy lives prevent others from helping one achieve an optimal level of functioning. Rehabilitation is limited owing to financial constraints on families and healthcare. Comparing compensatory methods with survivors of TBI and chronic illness who are usually younger and learn adaptive behaviors quickly to compensate for cognitive deficits. Is that because society expects more, you expect more, or both? An attitude that … you look “good” so you must be good! An “invisible injury” of sudden onset versus another “invisible injury” but aging population becomes acceptable and at times expected. Comparing a gradual process that usually occurs in the elderly (but not always) to a sudden onset or accumulation of injuries or illness in the middle age population. Expectations of certain age groups make the struggles of daily living more difficult. Middle age survivors are raising families, working full-time, active in the community. Elderly become more isolated and families and friends spend less time in social settings. Dementia and Alzheimer’s disease is usually (but not always) in the aging population. Often ones physical energy is preserved and limited only by age or other health issues. Lack of awareness causes impulsiveness or spontaneous decisions that could be harmful to themselves or others. These worsen over time whereas in TBI, brain dysfunction, and chronic illness symptoms improve over time albeit gradually for most. Many enjoy activities and hobbies well into the gradual disease process. Their bodies and minds don’t usually fail quickly and because the process is gradual their life has stability and predictability for some time into the disease process. Often years pass before anyone recognizes that a problem exists. As sad as this situation society accepts and expects demise of aging population. Society sets different standards for different age groups. It’s acceptable and understandable why someone in their 90s is confused, but not acceptable for another in their 30s, 40s, or 50s. Any cognitive decline is significant regardless of age and should be treated as such since it’s a symptom to any number of ailments. 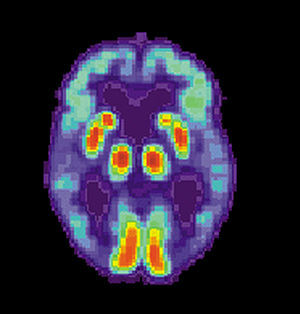 TBI, brain dysfunction, chronic illness, dementia and Alzheimer’s disease all have a few things in common: CAT Scans and MRI’s are frequently “normal” albeit changing with more precise enhancing techniques becoming available in the future. Cognitive skills improve with repetition. It’s hard work, but nothing is more important than keeping your brain healthy! Over stimulation causes catastrophic or behavioral reactions in all groups. Reactions are simply a part of life and happens to everyone with or without known health problems. Driving is a complex task but yet the most difficult task for many to give up. It only takes a slight distraction to cause harm to oneself or others. These distractions happen to others at any age because they are multitasking or for a multitude of reasons, hence we call them accidents. Accidents don’t constitute revoking a license … unless you have a health issue! Or does it? How many people are driving with undiagnosed health issues? People have strokes, heart attacks, seizures, fainting spells, memory lapse, and a number of physiological symptoms at any age. Everyone has had times that they don’t recall passing point A to point B. Fear should not define us but SAFETY should always be a factor. These people are driving to keep their independence. It’s not because they don’t care about others. They simply don’t see their problem, let alone perceive that they possibly could harm anyone because they are only “forgetful” some of the time. If others would get involved, volunteer, and just take time and help this wouldn’t be such a big issue with the “golden club”, “TBI club”, “Cognitive dysfunction club”, or “chronic health club”. A little time goes a long way! During this time others might learn a lot more about life. Is it necessary to take away the physical driver’s license? Isn’t there another solution to revoking driver’s license versus keeping an earned license for identity and having them color coded? Why does everyone have to loose everything they worked for their entire life? Most people pass a driver’s test at a young age of 16-18. Why can’t this population with medical conditions keep their physical license but just have their driving privileges revoked? What’s wrong with color coding backgrounds on driver’s license? A state identification is not the same! Who are we kidding? It’s important to maintain as much of one’s self as possible. This population has already lost nearly everything to their identity. Letting them keep a driver’s license for the sake of retaining part as identity helps with personal security, self-esteem, and the little independence left in life. It doesn’t necessarily have to give permission to drive. Driver’s license is such a small part of one but a huge boost for self confidence and one with a solution. Discussing dangers and reasons not to drive is an entirely different topic since that doesn’t work in this population. In reality, whether one has a physical driver’s license or not … if the person is going to drive it will happen against what everyone else believes unless all measures are taken. Having NO access to a vehicle needs to happen in many cases. It’s not the physical license that is the problem! It’s the availability of a motor vehicle. Yes, a state identification needs to substitute the driver’s license but does it really make a huge difference in a long run? How many 30, 40, 50 year old people are willing to sacrifice their driver’s license if they’ve had no driving infarctions during their lifetime? Fast forward that another couple decades and do they want to remain independent or have everything taken away? Advocating for change and respecting humanity issues all while promoting health and safety is ultimately the goal. If license were color coded someone with dementia or memory issues may easily be helped while writing a check, confused, asking for assistance, all without further embarrassment or explaining to others. This alone would save energy for the individual and educate the general population. If license were color coded without bias it is less likely psychological and physical harm would occur while in public. By this protection many can feel safer that law enforcement would not react as though so many are committing violent acts. Behavioral issues are common with all brain dysfunctions. Many times just a quiet environment resolves escalating behaviors when physical or emotional stimulation is the problem. Emergency responders would have a better handle of situations and help with prompt and accurate health interventions during emergencies simply by awareness of color coded license. Interventions during transportation to healthcare facility may differ from current standards. Color coding drivers license can help protect the most vulnerable and keep everyone safe with proper interventions. These are just a few examples of common mistakes quickly assumed by law enforcement and difficult to resolve leading to extensive legal battles for that person and family. Now that you had time to briefly think about the differences from those surviving TBI and chronic illness versus Dementia here is a question: Would you rather be a passenger in a motor vehicle with … A driver that has dementia? A survivor of TBI and chronic illness? Why? I’m sure many would say neither, but that’s not an option. There are only two choices: Dementia or TBI/chronic illness drivers. What are your thoughts on this? I have a letter from my doctor with my car registration that explains that I have a TBI. It mentions anxiety and my balance problems that would make it hard for me to complete a sobriety test, even dead sober. I haven’t needed it but I feel better having a letter that can explain my problem in a stressful situation. Leaving this here simply to say Happy Thanksgiving before I crash for who knows HOW many hours (up all nite/now 10:30 AM) — I just picked up 2 weeks worth of meds (all they had and I simply couldn’t wait any longer for the return of a shot at functioning! ), so if your life is in a place where you have time for a chat, as soon as I am back on “earth-time” I’d love to hear your voice and do a catch up. So Grateful for YOU and all you do. Surprise Madelyn! … I’m back, but I’m not sure I’m on “earth-time” yet?!! At least I know you understand, and believe me I get what you are talking about (I wish I didn’t, since I think it only comes with real life experience). Well, I guess I could say “Happy Thanksgiving, or Merry Christmas, or Happy New Year … but it’s already Ground Hog Day!lol I haven’t forgotten anyone, but maybe trying to pull things together again.